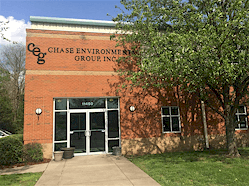 Chase Environmental Group is looking to hire a full-time Environmental Field Technician/Laborer to work outdoors performing tasks associated with hazardous waste clean-up, site-remediation, equipment decontamination and handling of hazardous materials. The job will be physically demanding at times and will require working in all types of outdoor environments. The ideal candidate should have a good work ethic, be a team player, and should possess a diligent attention to safety. Further certifications, including environmental science training or experience, HAZMAT transport, CDL drivers license, heavy equipment operation experience or training (as trackers, dozers, backhoes, bobcats, dump trucks, etc. ), and OSHA training (HAZWOPER 40 hour), would give you an edge over other applicants. The ideal candidate would have prior experience working in an environmental laborer position. EXTENSIVE TRAVEL REQUIRED. 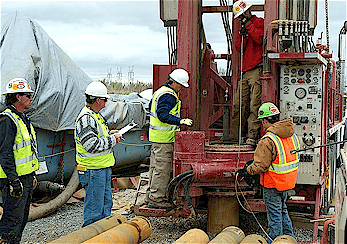 Under general supervision, the Equipment Operator must be proficient in heavy equipment operation relating to earthmoving activities, including but not limited to, support of remediation activities, underground storage tank removal, soil excavation, backfilling, waste bulking, and/or demolition services, in accordance with established company policies and procedures. Other tasks that this position will assist in include: operating groundwater and soil treatment systems, drilling, remediation system construction and maintenance. TRAVEL IS REQUIRED. Contact us at email: Chase Environmental Group.